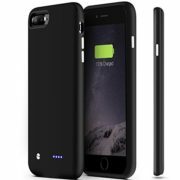 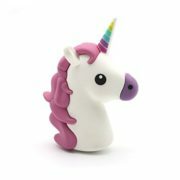 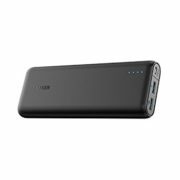 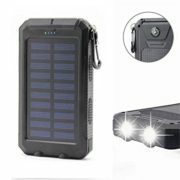 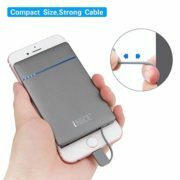 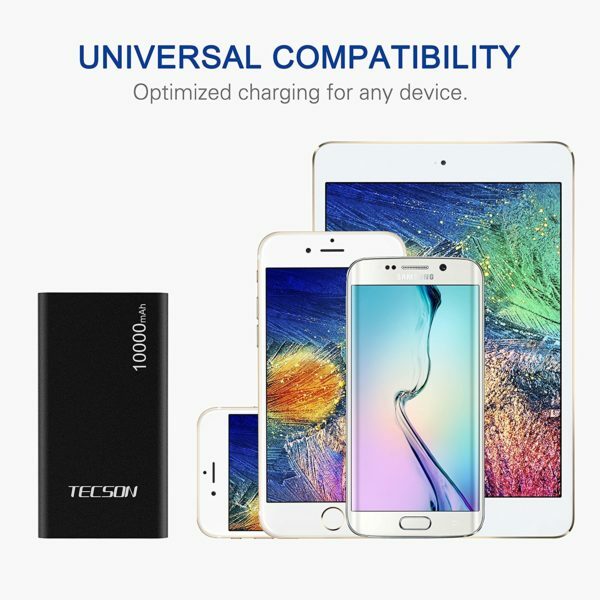 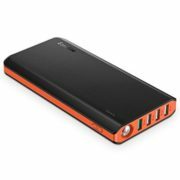 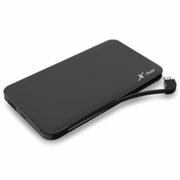 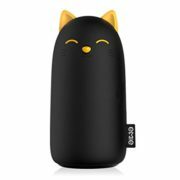 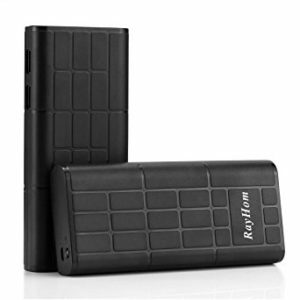 Portable & High Capacity – Compatibility with iPhone, Android and other mobile devices(More than 3 times for iPhone 7 and more than 2 times for Samsung Galaxy S7).Easy to hold in your hand and put anywhere you want, so that there is no need to worry about when your phones or tablets are under low battery power condition. 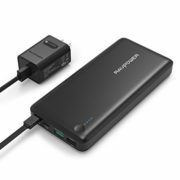 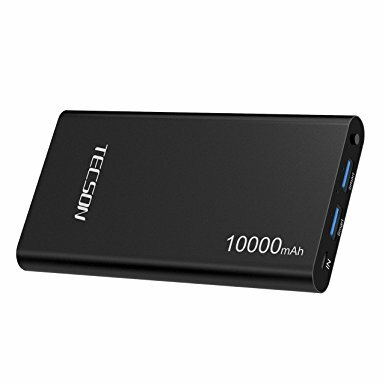 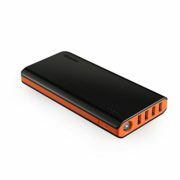 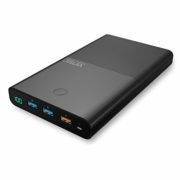 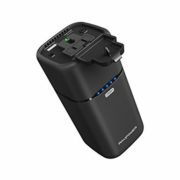 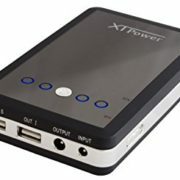 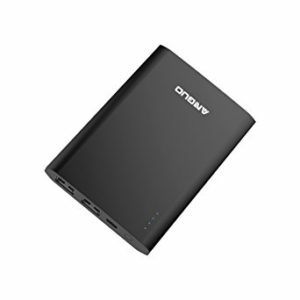 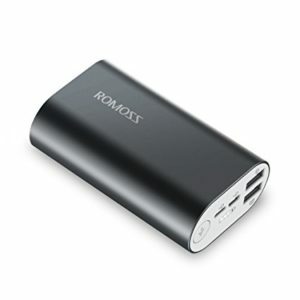 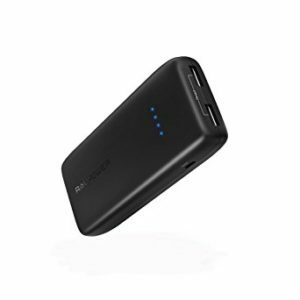 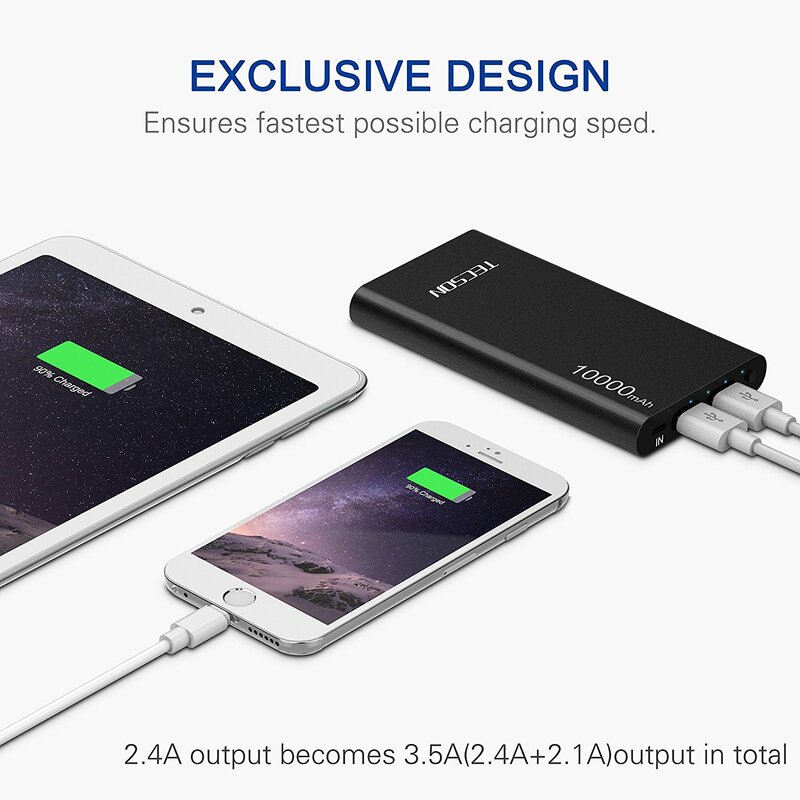 Dual Smart Output Ports & Fast Charge – You can charge 2 devices simultaneously with dual smart output ports(2.4A+2.1A=3.5A).Recharges in 5-6 hours with a 5V/2A adapter (not included) LED Indicator – A Light indicator that is right above the portable charger is used to monitor the rest volume of the battery with four LED where greater the number of LED lighting up the more power that the battery it has. 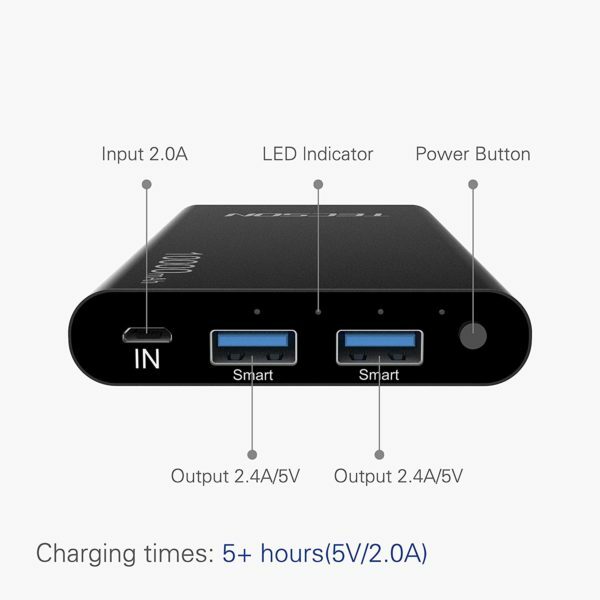 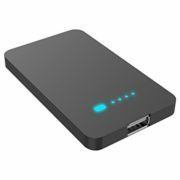 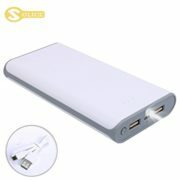 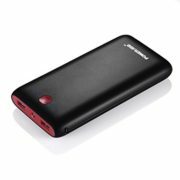 Therefore, it is convenience to estimate the rest duration for charging potential and the time to recharge the portable charger. 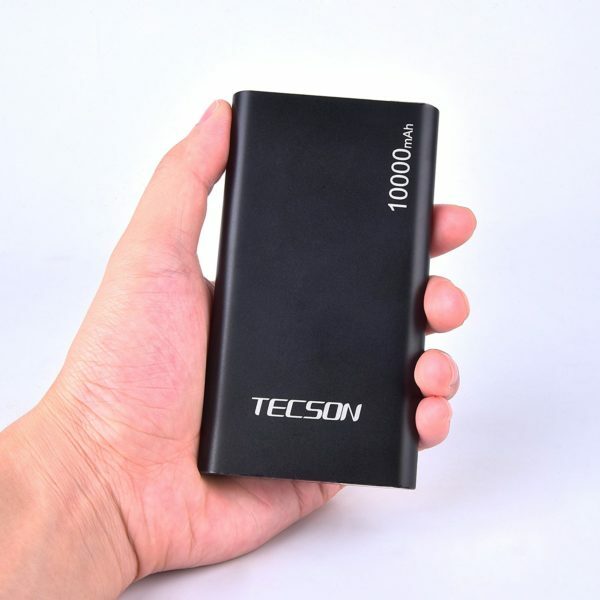 Safety Technology – which efficiently protects portable charger and charging devices, contains short circuit protection, over current protection and over charge protection etc. 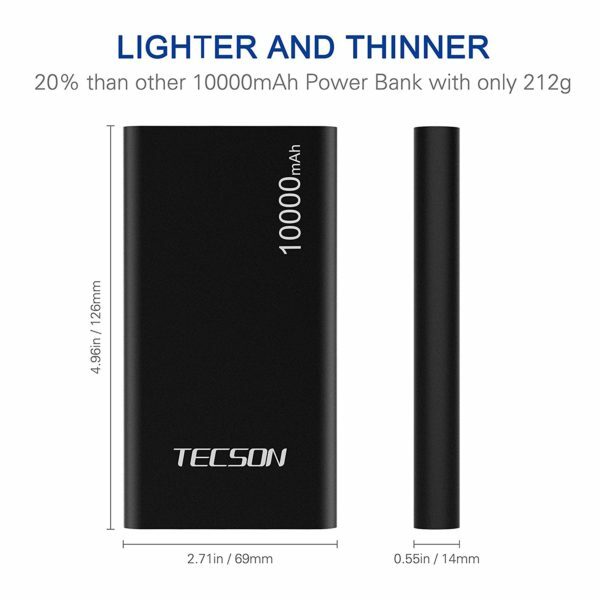 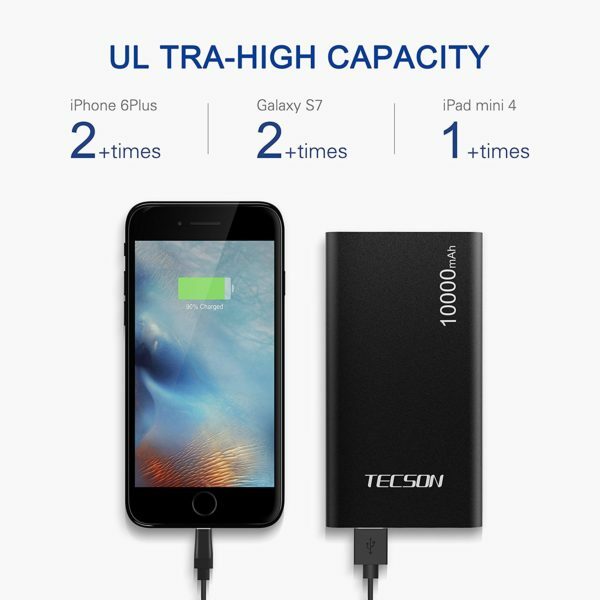 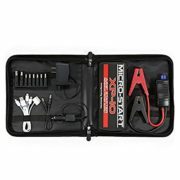 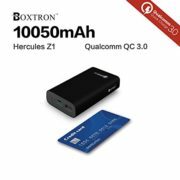 Package Includes – 1*Tecson portable charger, 1*1ft Micro-USB cable(For Portable Charger) and 12 months warranty. In addition, if you have any concerns, please feel free to contact us.